Translation: every company is now a lifestyle brand. 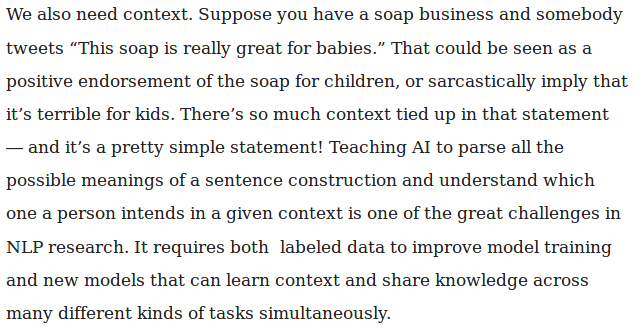 In this HBR piece, Salesforce Chief Scientist Richard Socher breaks down three areas of natural language processing we need to improve in order to help computers “understand” human language better. 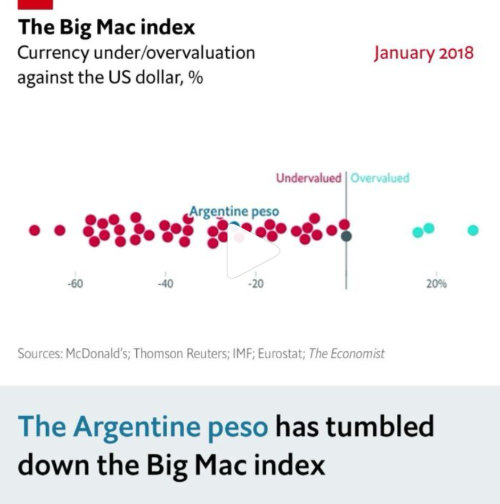 The Big Mac Index from The Economist is one of the longest-running examples of using creativity to make data accessible (it was launched in 1986). By using the price of Big Macs around the world, they’re able to easily relay the concept of Purchasing-Power Parity to those who never took Econ 101. This Digiday piece covers how how The Economist’s 12-person data journalism team did all the right things in launching a redesign. Rather than diving headlong into shiny, new objects, they surveyed over 1,000 readers to understand how people were experiencing the site. So, what’s your innovation style? In 2016, McKinsey launched “The Real Innovation Awards” with the London Business School. In this piece, they give us a serious case of #DatasetEnvy, as they realized the award application forms contained valuable textual insights into what makes for a good “innovation story”. From over 1,000 nominations, they crafted a number of archetypal stories like “best beats first”, “master of reinvention”, “perspiration”, “underdog”, and more. 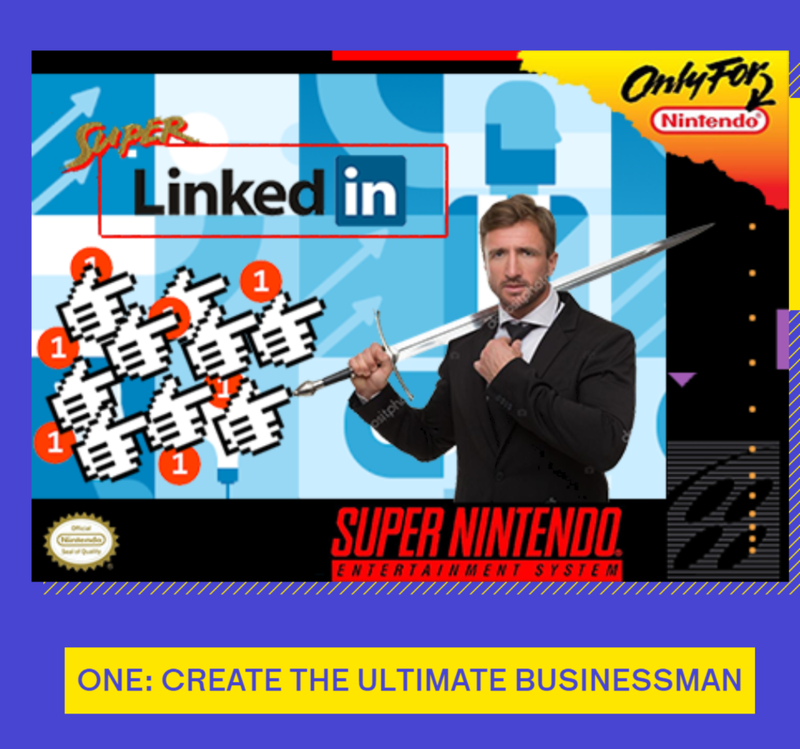 This piece is an Edge dream, as it both highlighted the importance of storytelling in business, as well as using existing, ‘unexpected” datasets to draw knowledge from. This idea has it all: leveraging open APIs, personalized recommendations using seemingly uncorrelated datasets, and hanging with the cool kids (music & fashion). Using your Spotify data in an arena like fashion recommendation is exactly one of those unexpected, but incredibly logical data connections we anticipate will become more frequently used across industries. If you’re looking to stay up-to-date on geopolitics and macroeconomic risk, we highly recommend signing up for EG Signal, a newsletter from Ian Bremmer’s Gzero Media. They break down complex issues that most of us who are not working at a policy think tank gain minor exposure to (What exactly is happening in Pakistani politics? Did the EU really give into Trump on trade?). The newsletter also hits every element that we believe makes for a great product (conversational, digestible, smart, well-designed). Last week, we fell for the gambler’s fallacy fallacy while poring over newsletter stats. The gambler’s fallacy is when you believe the more a single event happens, the more it’s “due for a change”. Like thinking the roulette pill will land on red because it landed black five times in a row. The odds are the same, every time. Our internal probability calculator isn’t broken. Recent information is useful for most things outside a casino, which can’t be practically measured. So it’s really a gambler’s fallacy fallacy when we think stats follow strict laws unaffected by the external world. We learned our lesson while studying a client’s historical newsletter data: no matter which way we turned our heads, we couldn’t explain certain fluctuations. After digging in, we found a number of probable, real-world factors — holidays, client-related events, etc. — that could have affected those spikes. Weekly Edge Parable: Don’t rely on pure statistics when studying historical marketing data — consider the changing world of events that may have influenced those stats.